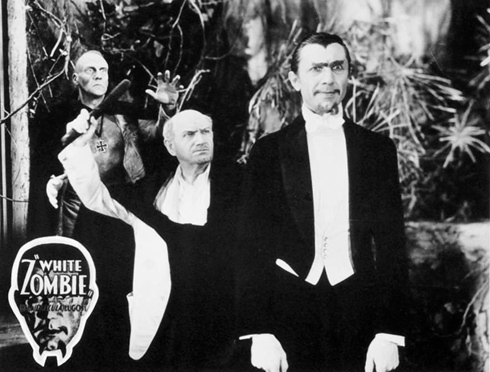 Independent horror movie White Zombie was released on the 4th of August, 1932. 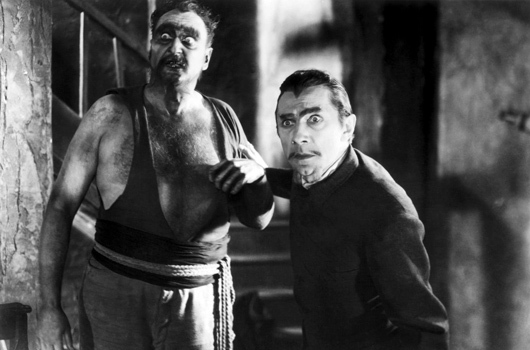 The film was directed by Victor Halperin, and produced by his brother Edward, and starred Bela Lugosi, Madge Bellamy and Joseph Cawthorne; other key roles went to John Harron and Robert Frazer. 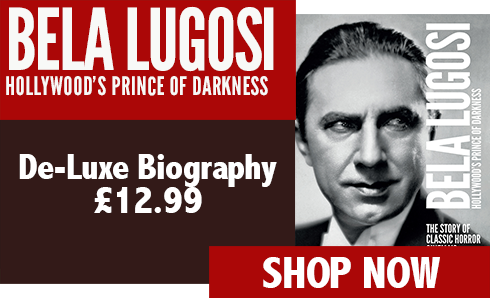 White Zombie’s status as a Pre-Code independent movie enabled it to make a significant profit, a fact which led Lugosi to later regret accepting a fee of just $800 for his services. The plot of White Zombie follows the fortunes of Madeleine Short and her husband-to-be Neil Parker, whose trip to Haiti and planned wedding run less than smoothly. Smitten by Madeleine’s beauty, plantation owner Charles Beaumont (Frazer) recruits sinister voodoo master Murder Legendre (played with suitable malice by Lugosi) to bring her under his control. (Super)naturally, Legendre obliges, and the zombification of the lovely lady is put in motion. Amid regrets and recriminations on Beaumont’s part (“I thought that beauty alone would satisfy. But the soul is gone. I can’t bear those empty, staring eyes”), the interference of the savvy missionary Dr Bruner (Cawthorne) and plenty of revolting reanimations, the nefarious Legendre gets his just desserts, allowing a revived Madeleine to live happily ever after with the post-widowed Neil. The screenplay for White Zombie was written by Garnett Weston, based both on Kenneth Webb’s Broadway play Zombie, and William B Seabrook’s novel, The Magic Island. However, the movie is far more action-based than its stage counterpart, with less emphasis placed on dialogue – perhaps fitting given that many of the cast had enjoyed their greatest fame during the silent era. White Zombie’s sets represent a veritable who’s-who of Universal horror movies, with halls from Dracula (1931), corridors from Frankenstein (1931) and even chairs from The Cat and the Canary (1927). 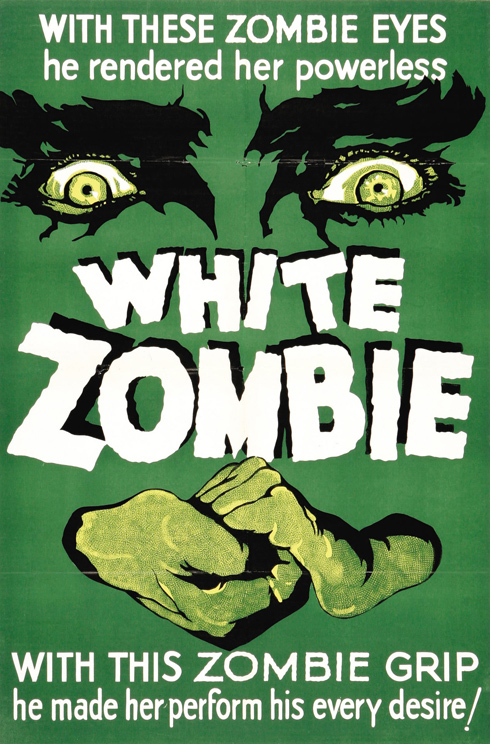 White Zombie was thought lost until its rediscovery in the 1960s, after which an acrimonious court battle was fought between film distributor Frank Storace and the estate of Stanley Krellberg, the film’s copyright owner. Storace wanted to produce a fully restored version of the film, but Krellberg’s estate refused him access to original footage in their possession. Storace gave up the court battle, never laying hands on the original footage and, alas, to this day there has been no satisfactory restoration. The best example is popularly thought to be the Cary Roan version, available on Blu-Ray, but this is not embraced by all; it also only exists in US and Canadian region coding. 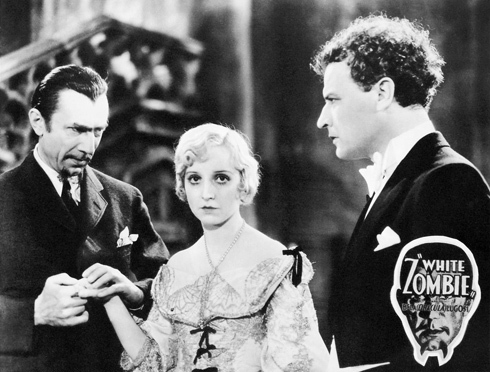 White Zombie was shot in only 11 days in March 1932, and received generally poor reviews which mostly took aim at its bombastic storyline and sub-par acting. However, despite the many criticisms levelled at it, the movie is recognised as the first true feature-length zombie film and thus spawned a sequel, Revolt of the Zombies, which was released in 1936. White Zombie itself, of course, has the further plaudit that its name inspired that of a band whose frontman, Rob Zombie, went on to create the 2007 remake of John Carpenter’s Halloween (1978) – a discernment which suggests the title is definitely worthy of a closer look. In its ageing, unrestored format, complete with creaky acting and anachronistic, blatantly racialist dialogue (“Surely you don’t think she’s alive, in the hands of natives. Oh no! 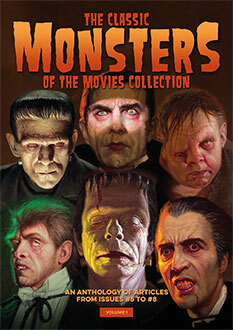 Better dead than that…”), White Zombie is undoubtedly a product of its time. This inevitably has a bearing on how both critics and fans view it today and, although one can only hope that it will one day get the painstaking type of restoration which has been lavished on some of the Universal classics, it’s still well worth trying to look beyond the scratchy presentation and appallingly hissy soundtrack. 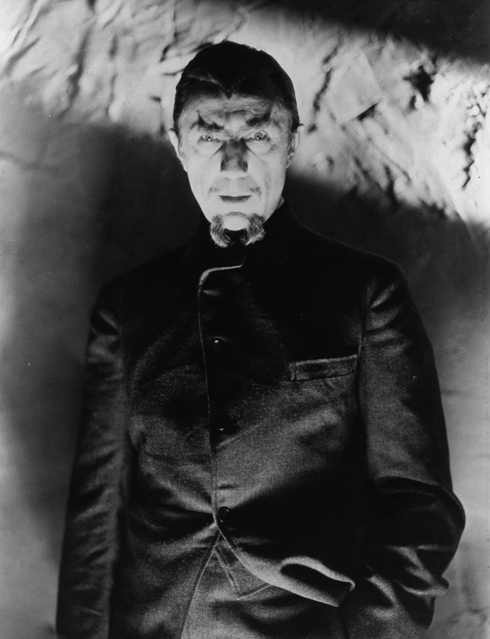 White Zombie is a massively important piece of cinema, and considered by many purists to be Lugosi’s finest work, so to dismiss it out of hand is to do it a grave injustice. 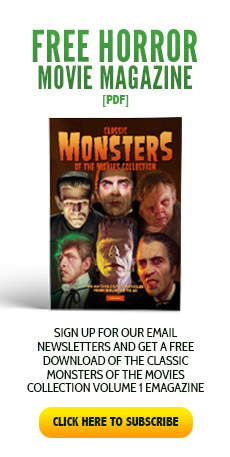 Here is the cinematic zombie legend at its inception and, without it, we would be short of not only a whole movie legacy, but also one of our now most enduring classic monsters.